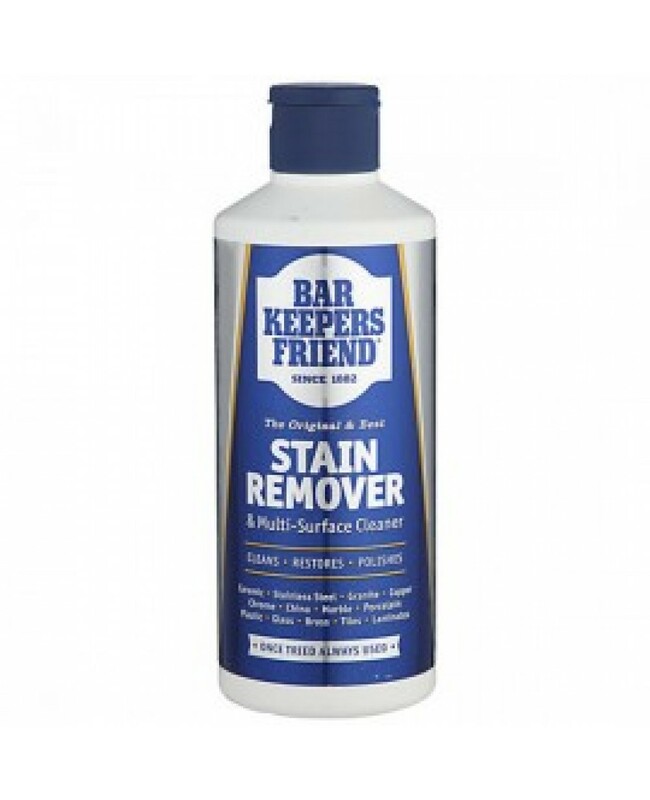 Bar Keepers Original Stain Remover Is An Amazingly Formulated Stain Eliminator That Gets Rid Of Stains From A Range Of Surfaces Including Stainless Steel, Laminate, Porcelain, Copper & More. Try Today To Efficiently & Effectively Get Rid Of Stains! Stain Remover & Multi-Surface Cleaner. Ideal For Use On: Chrome, Copper, Stainless Steel, Granite China, Porcelain, Glass, Laminates And More. Suitable For Removing Stains Caused By: Fruit Juice, Felt Tip, Coffee, Tea & Others. Easily Removes Limescale, Soap-Scum, Dirt & Stains. Efficiently & Effectively Removes Baked-On Food & Rust.